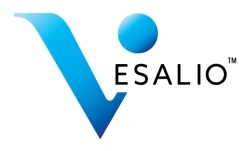 Nashville, TN, April 02, 2019 --(PR.com)-- Vesalio announces it has executed multiple exclusive distribution agreements in Europe, Latin America, Asia and the Middle East and now has market coverage in 39 countries for the NeVa™ Neuro-thrombectomy System. Along with the increased market and registration activities, Vesalio is expanding its training programs to include Vesalio Clot Interaction Labs™ and AIS Simulation Workshops with Vesalio’s proprietary flow model for new channel partners and physicians. “We are receiving strong industry interest in our unique product line. Top global distribution companies are approaching Vesalio to augment their market presence with NeVa in the high growth thrombectomy space,” remarked William von Brendel, VP, International Business. To fuel its growth, Vesalio has committed to expand its international exhibit sponsorship in key neurovascular congresses and live teaching courses in 2019. “We will increase our presence in 2019 by adding WLNC (May 1-3, Barcelona) and LINNC (June 3-5, Paris) to the ESMINT (Sept. 4-6, Nice) and SLICE (Sept. 30 – Oct. 2, Nice) congresses where we exhibited in 2018. This is in response to key opinion leaders and congress organizers expressing interest in the outstanding clinical results obtained by clinicians with NeVa,” commented Diane Demet Tangun, VP, Market Development.